Why would I want to talk to the dead? What could we possibly have to say to each other that would be of any interest? Victoria Falls being the home of so many ghost stories, it stands to reason that its graveyard is an immensely popular tourist attraction. Strangely enough, its most famous occupant isn’t buried here, but is actually a tree! 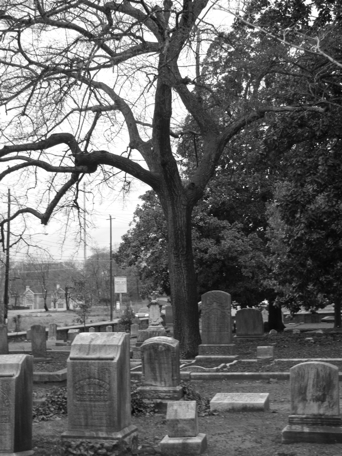 The so-called “Suicide Tree” stands almost in the exact center of the graveyard, a nearby headstone placed almost perfectly to allow someone to climb on it to tie a rope around the tree to hang themselves with. Local legend states that this is exactly what a young widow did on hearing the news that her husband had been killed in World War I.
It’s said that when you stand under the tree’s branches at night, you can hear the poor widow’s sobbing. However, after five teenagers were found dead, hung from the tree the morning after a full moon, the Victoria Falls Police decided to place an officer near the tree at night to dissuade any other potential suicides or vandalism, and do not allow anyone to approach it. They of course deny that you can hear sobbing under the tree. If you ask almost any of the officers though, most will admit that they’ve been too scared to try it for themselves!